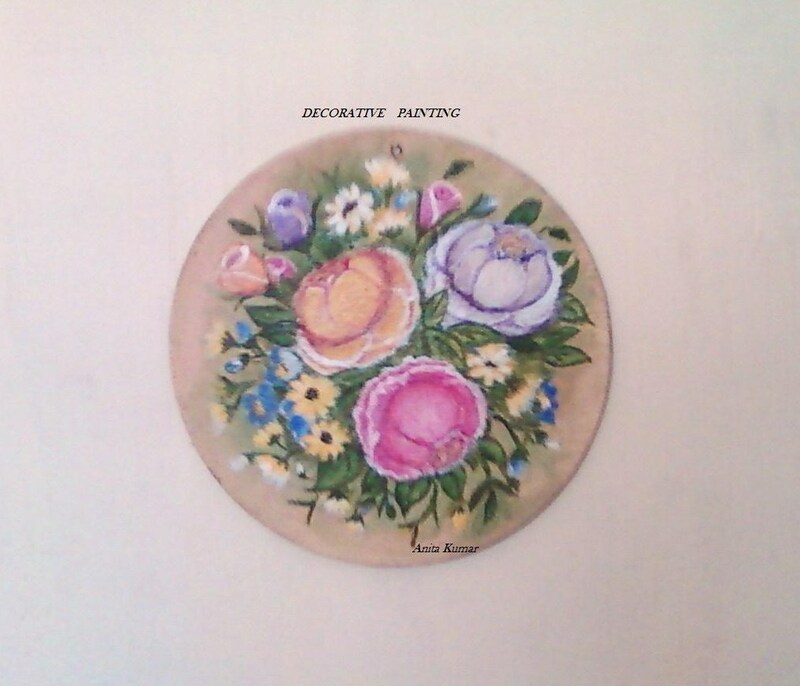 Decorative or Tole Painting is for everybody, its easy and fun. 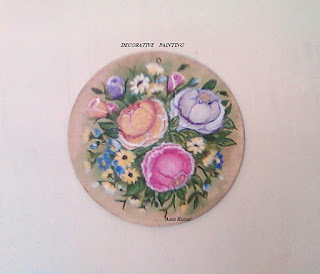 It can be picked up from the various decorative painting blogs,videos ,books and now there are classes for the same.Both Tole and One Stroke Painting are forms of decorative painting. Tole Painting is an old folk art of Norway mostly done on wood and metal. 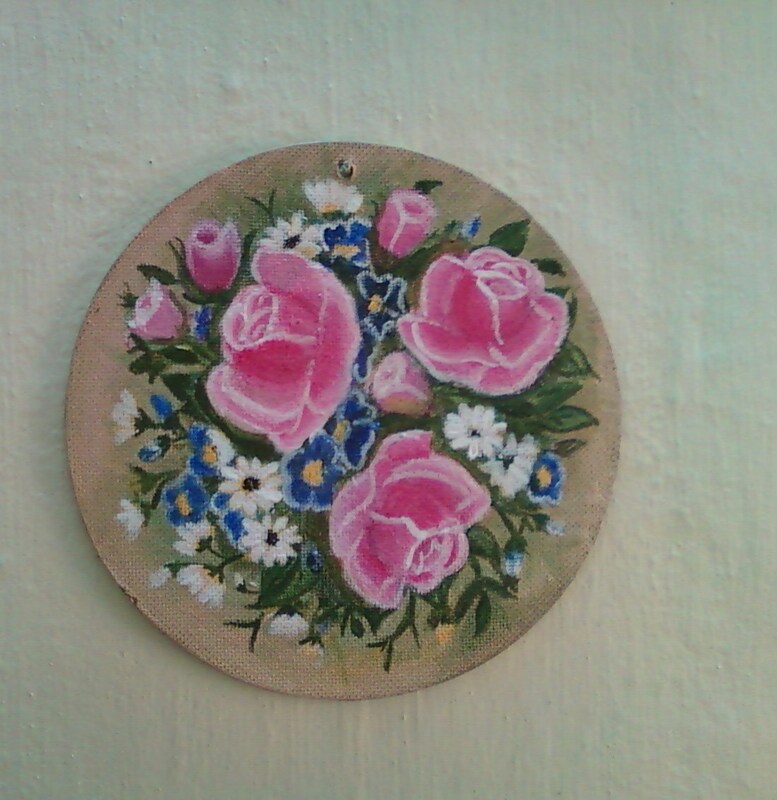 We can see beautiful colorful tole art on furniture, boxes and wall plates.I have tried to do Tole Painting with the 3 different colored roses. Nowadays One Stroke Painting has become very popular and the 3 pink roses are done with this technique. I find Acrylics work best with Decorative Painting as they dry quickly and are best suited for One Stroke Painting as well as Tole. Thanks, your kind words always encourage me to try something new !